Paper dolls are inexpensive toys that have been around for quite some time. 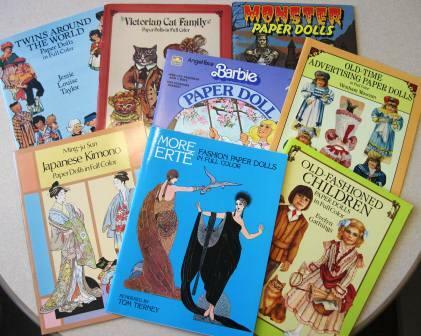 The Clarke Historical Library has a variety of paper doll books as part of our children’s collection. Our paper doll books include fashion dolls, storybook and character dolls, dolls from around the world, and animal dolls, as well as a variety of other cut-out toys. Do you remember Trixie Belden, Dolly Dingle, Curious George, and Peter Rabbit? Would you like to see Japanese kimonos or fashion by the designer Erté? The Clarke has paper doll books for your viewing pleasure.